Student loan debt is still a heavy burden for millions, but there are now around 41,000 former students whose debt has disappeared. In a settlement with federal and state agencies, Aequitas Capital Management, Inc., a financial services firm in receivership, will make refunds to the 41,000 students who borrowed money to attend the for-profit, and now defunct, Corinthian Colleges. Education Secretary Betsy DeVos has ordered a "regulatory reset" of rules intended to protect students from predatory for-profit colleges. But critics say the reset puts the interests of for-profit colleges ahead of those of students. "The message the Trump Administration is sending our students is coming into focus: look out, the fox is guarding the henhouse,” said California Attorney General Xavier Becerra. But Becerra said he was not surprised by the action. The new year is more than just a flip of the calendar. For families preparing to send a child off to college it's a time for shopping for financial aid – an increasingly critical factor in being able to afford higher education. January 1 was the first day families could start filing their FAFSA forms, the financial aid forms the U.S. Department of Education uses to calculate and distribute more than $150 billion in grants, loans and work-study funds each year. In the latest for-profit college scandal, students at Texas-based Career Point College have been left holding their book bags after the school shut down its campuses in San Antonio, Austin, and Tulsa. The problems students have had with some for-profit school are well documented. Remember Corinthian College? You don't have to have a long memory. In September 2014 the U.S. government sued the for-profit college for what it called an illegal predatory lending scheme. "When Americans invest their time, money and effort to gain new skills, they have a right to expect they'll actually get an education that leads to a better life for them and their families," Acting Secretary of Education John B. King Jr. said in a release. "When that doesn't happen we all pay the price. So let me be clear: schools looking to cheat students and taxpayers will be held accountable." The Clery Group will make sure for-profit colleges comply with the Jeanne Clery Disclosure of Campus Security Policy and Campus Crime Statistics Act, requiring colleges and universities participating in federal financial aid programs to disclose campus crime statistics and security information. When gasoline prices surged in the wake of Hurricane Katrina, many angry consumers believed Big Oil was engaging in price gouging. But as the costs of a college education have skyrocketed, few have accused Big Education of doing a little gouging of its own. But are colleges overcharging students and parents? And if not, then why is a college education today so expensive that many can't afford it and others can do so only by racking up substantial debt? Ronald Ehrenberg, Professor of Economics at Cornell University and author of "Tuition Rising: Why College Costs So Much" says there are rational economic reasons for tuition's constant creep upwards. While businesses are structured to keep costs as low as possible, Ehrenberg maintains that colleges today operate on a starkly different model. They actually have an incentive to spend money. "In private higher education, the quest is to be as good as you can," Ehrenberg told ConsumerAffairs.com. "Tuition increases in private higher education reflect increased expenditures per student, in real terms." Public colleges and universities are raising their tuition as well, he says, because of reduced support from state governments. But there's also the supply and demand factor. In his book, Ehrenberg concedes that as long as there are plenty of qualified applicants, no institution is going to end the spending race. And when tuition rises at one institution, others are more likely to raise prices as well. "When you have the elite schools pushing tuition six, seven and eight percent higher, the next-level schools can follow," said Joel Naroff, chief economist at Naroff Economic Advisors, a private forecasting firm. Naroff, who taught economics at the University of Massachusetts and Northeastern University, says that for elite colleges, raising their tuition doesn't necessarily discourage applicants; in fact, it can increase an institution's perceived desirability. "There is very little pressure of any kind to keep costs down at private schools," Naroff said. "For most of the private schools, especially the better and elite schools, the more expensive it is, the more elite it is, and the more having a degree from that school is a perceived value." These days, all universities -- public and private -- are directing some of that spending to a bidding war for faculty members with reputations. As a result, salaries and perks for college professors have risen dramatically. The bidding war also extends to students, with colleges erecting plush dorms, state-of-the-art health clubs, gourmet restaurants and other amenities, all designed to lure the brightest and most talented students, who desire creature comforts as well as a challenging education. State universities that once had an open enrollment policy -- admitting any high school graduate in the state -- now screen entry using standardized tests, grade-point averages, and other factors to limit enrollment to a more elite group. However, they are finding they must compete harder to get those students. As a result, colleges spend more money making their institutions attractive, and charge more to attend them. Normally, competition drives prices down but apparently not in academe. Naroff makes an analogy to professional sports. Forty years ago, players in the National Football League were poorly paid. They played in baseball stadiums and it cost very little for fans to attend games. Now, teams pay their players millions of dollars and the average fan might spend $200 for an outing at the team's multi-million dollar stadium. "Basically, if you can pass on your costs, you don't care what your costs are," Naroff said. Today, tuition at state universities is around $12,000 a year and $25,000 and up at private schools, but it may surprise some to learn that rapidly rising college tuition is not a new phenomenon. In fact, figures compiled by the College Board show that college tuition has risen at about twice the general inflation rate since 1958, when statistics first began to be tracked. The rate of increase has been sharply higher in some years than others. For example, in 1964, when the first Baby Boomers headed off to college, tuition inflation rose 4.61 percent, which was more than four times faster than the overall inflation rate. Between the years 1980 and 1982, when raging inflation in the economy increased a total of 30 percent, tuition costs surged by 40.3 percent, and have been steadily rising ever since. Increases in tuition since 1992 have been steady, but comparatively tame, never rising above six percent, as the overall inflation rate has hovered around 2.5 to 3.0 percent. But all those yearly increases have taken a toll. In 43 of the last 49 years, college tuition inflation has exceeded the nation's inflation rate, with the cumulative increase pushing the costs beyond many students' ability to pay. Financial Aid to the Rescue? As the cost of attending college has risen, so has the availability of student financial aid. Students and parents who can't afford the yearly cost of tuition, room and board, and books can apply for scholarships, grants and loans to make up the difference. By the College Board's accounting, there was $105 billion in financial aid flowing into higher education in the 2002-2003 school year. Has all that money inadvertently fed tuition inflation? "There is very little evidence that this has occurred," Ehrenberg said. But others disagree. David L. Warren, president of the National Association of Independent Colleges and Universities, calls financial aid the driving force behind rising fees, claiming it is responsible for nearly one-third of all tuition increases. Where does the financial aid come from? 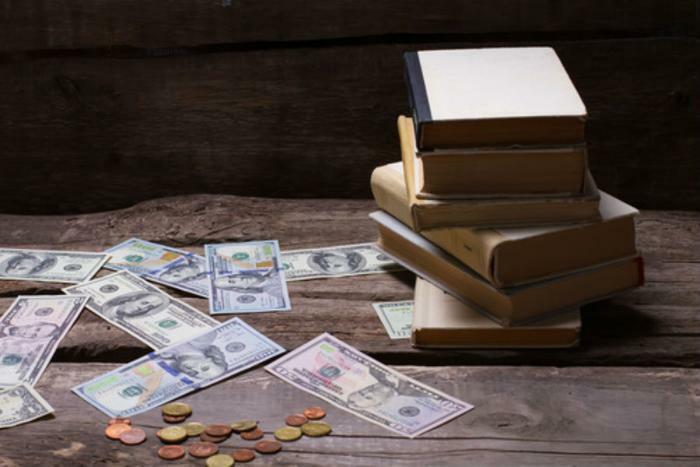 There are a variety of sources, but at many schools, scholarship and grant money comes directly from the schools themselves, paid for through endowments and, to a large degree, by the ever-rising tuition paid by other students. And how is that aid distributed? Highly prized and recruited students are most likely to receive the scholarships and grants. Everyone else must take out student loans. A 2003-2004 study by the National Center for Education Statistics found that more than 65 percent of students borrow at least some money to pay for education, with the average student graduating with more than $17,000 of debt. Many graduate with an even heavier debt load. Rudy Arndt, a retired high school guidance counselor in the Toms River, New Jersey School District, witnessed the rising costs of college over the span of his career. He said he first began to see high school seniors looking for college loans in the mid 1970s. By the time he retired in 1992, he saw students taking on dangerous amounts of debt to pay for their schooling. "We've got to warn students not to get so overloaded with debt that it will affect their ability to live once they graduate," he said. Ehrenberg shares that concern, and thinks it might unduly influence a student's choice of career. "I am very much concerned and worry especially that it may preclude students from entering socially important but low-paying occupations," Ehrenberg said. "Just as law schools have loan forgiveness programs to encourage law students to go into public interest law, states should consider loan forgiveness programs for public higher education graduates who enter socially important occupations," he suggested. While many students graduating with $100,000 or more of debt often express "buyers' remorse," it's clear not all do. "Craig," a 2005 graduate of an elite northeastern university who works in Washington, DC, pays $700 a month on his student loans, but has no regrets. "I received an excellent education for a reasonable price," he told ConsumerAffairs.com. He suggests high school seniors begin discussions with guidance counselors early about their financial needs, and focus on schools that offer what they want but that are also willing to offer the students financial incentives to attend. "With good colleges it's a two-way street. Not only do you want to go there, but if you have the grades, potential, desire and experiences, they want you and will make monetary sacrifices to enroll you," he said. The level of student debt has become such a sensitive issue that Congress has taken action to cut the rates on federally-guaranteed student loans. In New York, Attorney General Andrew Cuomo recently launched an investigation into charges some colleges have steered students to certain lenders in return for favors. "My office is seeking to ensure that students are being steered toward lenders offering the most competitive rates, not those who offer the best perks to schools or financial aid administrators," said Cuomo. Cuomo is looking into allegations that some lenders have offered trips and gifts to higher education officials with whom they do business. Cuomo says when people across the country are struggling to keep up with the cost of tuition, that behavior can't be tolerated. Meanwhile, the news about college tuition is not all bad. Since 1996 a number of private schools have actually cut tuition -- some by steep amounts. According to the National Association of Independent Colleges and Universities, Lourdes College in Sylvania, Ohio cut tuition 41 percent; North Park University in Chicago cut tuition 32 percent. For a complete list, see www.naicu.edu/news/TuitionCuts.htm. More cuts may be coming. "Private colleges and universities are launching -- and expanding -- initiatives to control operating costs and enhance efficiency," the association says. "These include outsourcing services, targeting cost reductions, streamlining staff while safeguarding quality, entering into collaborative cost-cutting arrangements with other institutions, and implementing new environmentally friendly systems that reduce energy consumption." States are also investing greater amounts in their community college systems, which by and large maintain open enrollment policies and cost considerably less than four year schools. In many states, a student earning a two year associates degree at a community college may transfer as a junior to most public universities to receive their bachelor's degree. "I think the community college system has been under-funded and under-valued," Naroff said. "It has helped millions of people earn a college degree and I think it should play an even greater role in education." Another alternative emerging in recent years is the for-profit college -- institutions like the University of Phoenix and DeVry University. Typically, their tuition is more -- often much more -- than community colleges but comparable to public universities and less than most private colleges. They don't need plush campuses because most of their students spend their non-school hours at a job. Derided by many in traditional academia and often the source of bitter complaints by students, these colleges nonetheless have appealed to low-income, minority, and working students and adults in ways traditional colleges haven't, by offering courses in the evening and on weekends and pioneering the use of online and distance learning. More importantly, while traditional colleges struggle financially, despite ever-rising tuition, for-profit schools do indeed turn a profit. David Kird, professor of public policy at the University of California at Berkeley, acknowledges for-profit schools have their limitations. But he stunned a 2005 conference on higher education when he praised work being done by DeVry, noting that it "graduates more African-American engineers than any other institution in the United States." But criticism of the for-profit schools, particulary University of Phoenix is mounting. Former students and the school's own staff and faculty complain that the relentless quest for profits has hurt the quality of the education that students receive, the New York Times reported in a front-page story today. The school has only regional accredition. Prospective college students and their families would do well to consider community colleges and less expensive state schools rather than mortgaging their future to attend a supposedly more prestigious institution. 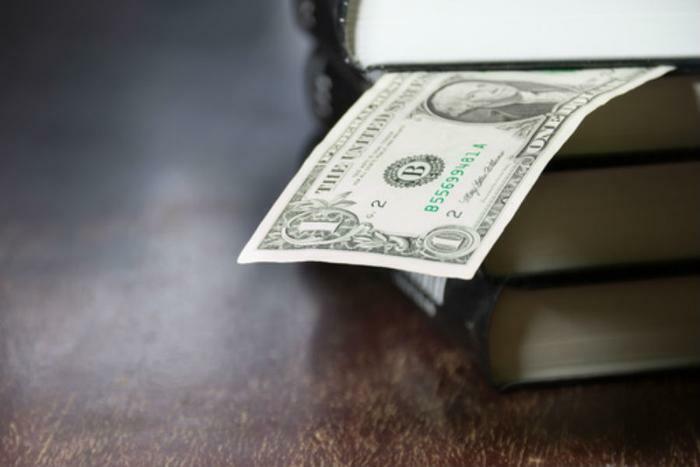 While a for-profit school may be the answer in some cases, students should investigate thoroughly to be sure they know what they'll be getting for their money. Check the ConsumerAffairs.com complaints about the University of Phoenix and DeVry University before plunking down money or taking out a loan. Chances are, a community college would be cheaper and would offer a better education for most students. For a generation the cost of a college education has been rising much faster than the rate of inflation. As a result, student loan balances are getting bigger and bigger, to the point that the total amount owed on student loans in the U.S. is well over $1 trillion. The search is on for a solution to out of control spending on higher education. One possible solution might be speed. Instead of spending 4 or 5 years earning a bachelor's degree, running up thousands of dollars in debt each year, what if you could get that degree in a shorter period of time – maybe 18 months? Sounds too good to be true, and you know what they say about things that sound like that. But a lot of serious people are giving this idea serious consideration. In a speech on education President Obama said some colleges are already embracing new ways to provide education for less money. Since Obama's speech a number of schools have begun offering accelerated undergraduate and graduate degree programs that can be taken online. And more of a student's previous work may count toward the degree. In these accelerated program, schools are being more liberal about accepting credit from another school or educational program. That, in itself, can get them closer to their degree in a shorter period of time. Accelerate Degree, a Charlottesville, Va.-based organization, says if students bring something to the table before applying to a program – whether it be previous credit, work experience, or another way to receive transfer credit – they will likely find that any level degree can be completed in as little as one year. While it may be difficult to finish a bachelor's degree in one year, there are a number of graduate degrees that may be obtained in that time. Northeastern University, in Boston, calls it the “Fast Track Program.” It offers accelerated learning in select programs, allowing students to transfer credits and complete their undergraduate degree in 18 months. Bellevue University, a private non-profit college in Nebraska, offers an accelerated bachelor's degree to students who have an associate's degree or close to 60 college credit hours. The school says students can complete their degrees in as little as 16 months. “If you have fewer than 60 credits, we have many ways to earn credit beyond the classroom, including credit for training on the job or in the military,” the school advises. An accelerated degree program is obviously aimed at adults who have completed some college but are now in the working world. In their present form these programs may be less suitable for incoming freshmen with no credits. Beyond that, these programs might not work for everyone. It will take someone with a lot of discipline and willingness to put in the intense work to reach their goals. That isn't exactly a description of today's college student. A 2011 survey found that most students at traditional colleges are taking longer to graduate – only 40% were completing the work within the traditional 4 years. Are we looking at a repeat of the Corinthian Colleges debacle? After the downfall of Corinthian Colleges, which declared bankruptcy earlier this month following years of legal troubles which included federal agencies ranging from the Department of Education (DoE) to the Consumer Financial Protection Bureau (CFPB), plus the attorneys general of several different states, all alleging that Corinthian-owned schools defrauded students in various ways, lawmakers and other public officials have turned a sharper eye to other for-profit schools dependent upon a steady stream of federally backed, bankruptcy-proof student loans to stay in business. Speier's letter, available in .pdf form here, includes a list of complaints which sound depressingly familiar to anyone who knows Corinthian's story. And remember: that debt, like almost all student-loan debt, can't even be discharged in bankruptcy. But a former student who goes over his head in debt to attend a traditional, accredited state college or university at least has an authentic college degree (or credits to count toward one) to show for that outrageous debt load. ITT students say they don't even get that. I have been a PhD electrical engineer for 25 years, mostly in the defense sector. But have never worked for such a rot-gut shameless enterprise, not even close. You need to understand [the] whole enterprise, ITT I mean, is a colossal nationwide profiteering scam. There are so many problems with ITT, I hardly know where to begin …. Recruiters routinely tell students that ITT courses will transfer should a student decide to complete a conventional 4-year program at another school after, say, completing an associates degree program at ITT. This is false. Credits will transfer to another ITT school (or possibly to another for-profit school like ITT) - that much is true - but not to an accredited state university. The Department of Education has conducted increased oversight and exercised enforcement options in the past, as it did with the Corinthian Colleges [but] those investigations have been plagued with delays. In fact, Corinthian Colleges, Inc. was investigated by the SEC in June 2013 – a full year before ED opened their own June 2014 investigation …. This delay harmed students who continued to take loans on a worthless education, and taxpayers who footed the bill. I ask that in this case you take action quickly and responsibly. 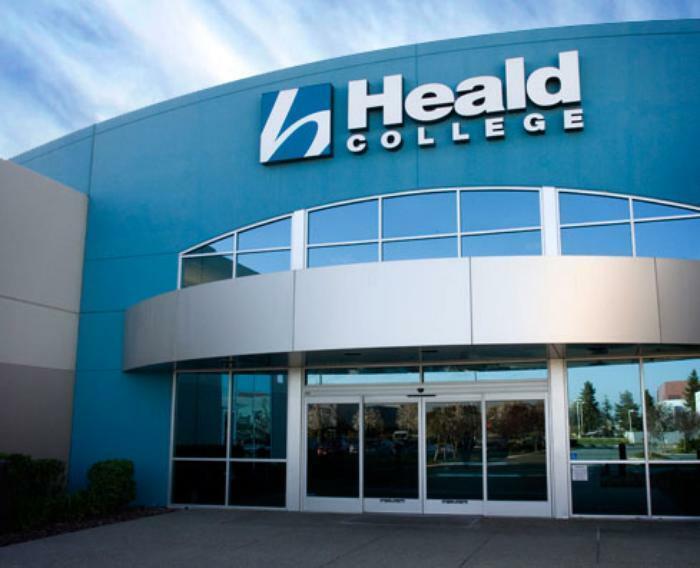 The Department of Education has levied a $30 million fine against Corinthian Colleges, Inc. after an investigation “confirmed cases” that the company misrepresented the schools' job placement rates to current and prospective students of Corinthian-owned Heald Colleges. The DoE agreement also forbids Heald from enrolling any more students, and requires the school to help current students either complete their education or continue it elsewhere. According to the DoE, Corinthian's deceptive practices include paying temporary employment agencies to hire graduates for on-campus jobs lasting as little as two days, so that Heald could then count those students as having found work in their field after graduation. Such allegations against the company are nothing new. The DoE's fine is merely the latest in a series of legal actions taken against the embattled chain of for-profit colleges. Last September, when the Consumer Financial Protection Bureau sued Corinthian for predatory lending, the charges included allegations that the company would pay temp agencies to hire Corinthian grads to inflate the schools' placement rates, and also that the company promised good “career” options to graduates of Corinthian-owned Everest, WyoTech or Heald schools, yet Corinthian counted as a “career” any job lasting only one day, so long as there was the possibility of a second day of work. In February, Corinthian students who'd taken out “Genesis” private loans got a collective $480 million in debt relief, resulting in debt reductions of up to 40 percent. The schools' reputation among some groups is so unsavory that earlier this month, the attorneys general of nine states urged the federal government to forgive the federal debt burdens incurred by students holding the overpriced and worthless degrees. "Violent students' and taxpayers' trust"
The DoE's investigation found that Corinthian had badly mislead potential and current students of Heald Colleges, to the point where the students might not have enrolled in that school at all, had they known the truth. Among other things, the Department's investigation found that Heald paid companies to hire graduates for temporary positions lasting as little as two days, performing such basic tasks as moving computers and organizing cables, then counted those graduates as “placed in field.” Heald also counted obvious out-of-field jobs as in-field placements, including one graduate of an accounting program whose food-service job at Taco Bell was counted as “in-field” work. Like that Accounting graduate working at Taco Bell: she graduated from Heald in 2011 but had started at Taco Bell five years earlier, in June 2006. A Corinthian spokesperson said in a statement that the Department of Education's conclusions were “highly questionable” and “unfounded,” and that “These unfounded, punitive actions do nothing to advance quality education … but would certainly shatter the dreams and aspirations of Heald students and the careers of its employees.” The spokesperson also said that Corinthian plans to appeal. 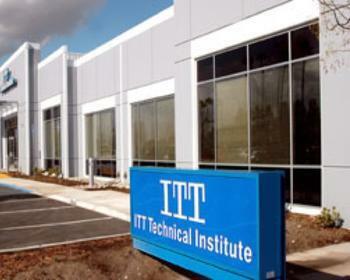 California has ordered ITT to stop enrolling new students. The order came Friday, just one day after the U.S. Department of Education banned ITT from enrolling new students using federal financial aid funds in certain locations. It also vowed to increase its financial oversight of the chain of for-profit schools. The order becomes effective Sept. 1 and affects all 15 ITT locations in California. BPPE said it will file an accusation on the charges and allegations set forth in the emergency order within 10 days. The accusation will seek to revoke ITT’s approval to operate in California. Students who have questions or need additional information can call BPPE toll-free at (888) 370-7589 or visit the bureau’s website. The U.S. Department of Education said it took the action after ITT's accrediting agency found that the institution was not in compliance with accrediting criteria and was unlikely to be able to correct its deficiencies. 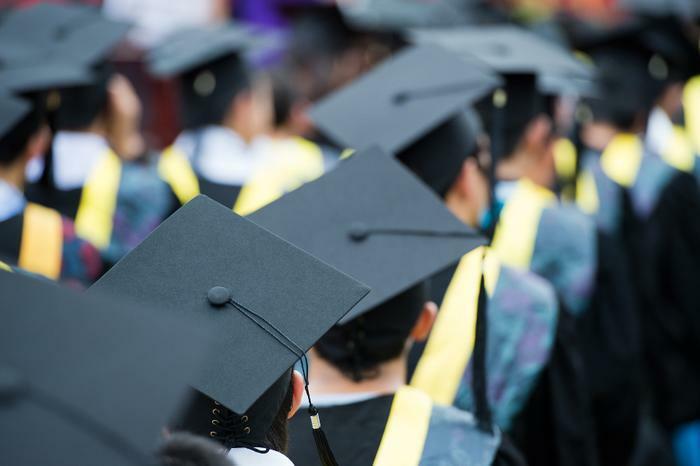 Recent college graduates appear to be struggling to repay student loans, according to the latest figures from the U.S. Department of Education (DOE). The national default rate for fiscal year 2008 -- the most recent period for which statistics are available -- is seven percent, propelled higher by an 11.6 percent default rate for for-profit schools. In comparison, the default rate at public colleges and universities is six percent and four percent for private, non-profit schools. The default rate is a snapshot in time, representing the borrowers whose first loan repayments came due between October 1, 2007, and September 30, 2008, and who defaulted before September 30, 2009. During this time, almost 3.4 million borrowers entered repayment, and more than 238,000 defaulted on their loans. They attended 5,860 participating institutions. Borrowers who default after their first two years of repayment are not measured as defaulters in today's data. Duncan also expressed concern about the high rate of default among students attending for-profit schools, whom he says are the most likely to be unable to repay. "While for-profit schools have profited and prospered thanks to federal dollars, some of their students have not," Duncan said. "Far too many for-profit schools are saddling students with debt they cannot afford in exchange for degrees and certificates they cannot use. This is a disservice to students and taxpayers, and undermines the valuable work being done by the for-profit education industry as a whole." Over the summer the Obama administration proposed new rules to regulate federal aid to for-profit schools, arguing most of the money was going to the institutions' bottom line. Last month the The Senate Committee on Health, Labor, Education and Pensions held hearings on recruitment practices at these institutions. The federal government is turning its attention to these institutions as complaints mount. A recent General Accountability Office (GAO) report was sharply critical of recruiting practices at some for-profit colleges, saying some recruiters lie and urge aid applicants to commit fraud. In recent months ConsumerAffairs.com has received a number of complaints about the issues the committee is addressing. Jodi of Brigham City, Utah, said she applied to the University of Phoenix in May of 2009 and was told to apply for financial aid. Jodi wanted to avoid getting buried in debt and was hoping to receive a generous Pell Grant to help with the school's $8,000 tuition. Jodi said that as classes were about to begin, the recruiter called and told her that, based on her score, she would probably qualify for aid, and to go ahead and begin classes, even though nothing had been determined. "I asked her what would happen if I didn't get aid, and she replied again that things looked really good for me and to go ahead and start because the first block was taken care of," Jodi told ConsumerAffairs.com. Jodi said once she started classes she learned that her Pell Grant amounted to only $1200 and the rest would have to be covered in student loans. When she attempted to drop out, Jodi says she was told there would be a big financial penalty. She said she also learned that the loan money had already been disbursed, without her permission. "First of all, when a person applies for credit, they should not be forced to accept the highest amount offered," Jodi said. "I told Janet (the recruiter) during the week of June 8 that if I didn't get a lot in Pell that I couldn't accept the loan. She said my aid would be fine. They should not be allowing anyone to begin classes at their school without the student seeing what aid they can get." In its latest report on loan defaults, DOE notes that students at for-profit schools represented 26 percent of the borrower population and 43 percent of all defaulters. The median federal student loan debt carried by students earning associate degrees at for-profit institutions was $14,000. The majority of students at community colleges do not borrow. Under current rules, all schools with default rates of 25 percent or greater for three consecutive years face loss of eligibility in the federal student aid programs. This year, two schools are affected by this provision: Charleston School of Beauty Culture, Charleston, W. Va.; and Human Resource Development & Employment-Stanley Technical Institute of Clarksburg, W.Va.
Schools with a default rate greater than 40 percent in the latest year may lose eligibility to participate in the federal loan programs. This year three schools are subject to this provision: Cuttin' Up Beauty Academy, Denver; Academy of Healing Arts, Las Vegas; and Clinton Junior College, Rock Hill, S.C.
Any student or would-be student hoping to enroll in college knows the dangers of taking on excessive levels of student loan debt to pay for it. But another form of risk is far less well-known: the danger of spending large amounts of time and money getting a degree that proves entirely worthless, because the school is not accredited. Accreditation is basically a form of quality control assuring that the school meets certain educational standards. If you're hoping to qualify for a professional license, employment with a government agency, or even having your credits transfer to another institution of higher learning, a degree from a non-accredited school is usually worthless. For example: last week, six graduates of Mount Marty College, a private school in South Dakota, filed suit after the school's nursing program failed to gain accreditation. The graduates had hoped to work as nurse practitioners, but their unaccredited degrees don't qualify them for licenses. Meanwhile, in North Carolina, students at the Apex School of Theology filed suit claiming that the school and its founder/president deceived them about the school's accreditation status, threatening their ability to become licensed counselors. A lawsuit filed in Wake County charged that the school and its CEO, Joseph E. Perkins, concealed, suppressed and withheld information about the school's lack of acceditation, Courthouse News Sevice reported. Neither North Carolina nor any other state recognizes TRACS accreditation for professional-licensing purposes, the lawsuit claims. Though accreditation problems are more common in private or for-profit schools, public schools attached to state university systems are not immune from the problem. If you're looking to attend an American college or university, remember to avoid any school which is non-accredited, or boasts having accreditation from a “national” organization; what you want is a school accredited by one of the regional accrediting agencies recognized by the U.S. Department of Education. 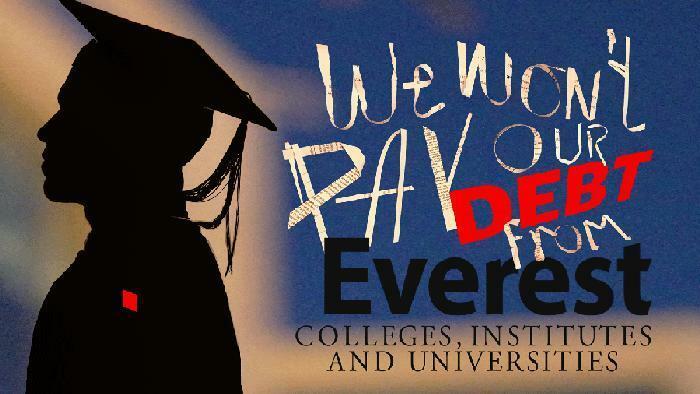 Former Corinthian students go on "debt strike"
Last summer the federal government started cracking down on Corinthian College, the for-profit chain behind Everest Institute, WyoTech and Heald schools. Corinthian was already under investigation in 20 different states by last June, when the Department of Education temporarily suspended all federal financial aid to Corinthian schools. In July, Corinthian missed a deadline to reach an agreement with the federal government, and started selling off some of its campuses. In September, the feds sued Corinthian for predatory lending practices against its students, and only a couple of weeks ago, the Department of Education and Consumer Financial Protection Bureau jointly announced that certain Corinthian students would be forgiven a collective $480 million worth of private, high-cost “Genesis” loans. Despite all of this, many former Corinthian students still find themselves saddled with enormous debts for worthless degrees — in many instances, their Everest or Corinthian credits won't transfer to other schools, and employers are rarely impressed by Corinthian-generated credentials. Also, student-loan debt is worse than most other forms of debt because it is bankruptcy-proof, to ensure that teenagers and young 20-somethings who go over their heads in debt attending the wrong school face much harsher consequences than, say, middle-aged adults who go over their heads in debt trying to profitably “flip” a house, charging too many luxe vacations on their credit cards, or gambling all their money away at the legal casino nearest them – those poor financial choices can be forgiven in bankruptcy, but student debts cannot. Last week, 15 former Corinthian students associated with an offshoot of the Occupy movement known as the Debt Collective announced that they were staging a “debt strike” and refusing to repay their student loans in order to protest the government's legal and financial support of the company. We are people living paycheck to paycheck, single mothers, and young people just starting out. We wanted an education because we were driven to learn and to achieve a better life for ourselves and for our families. The Corinthian 15 might have legitimate legal grounds to demand the discharge of their loans. Even some U.S. senators think so. Last December, six senators led by Elizabeth Warren (D-Mass.) wrote to Education Secretary Arne Duncan, urging that the Department of Education “immediately discharge” the federal debt obligations of former Corinthian students. Warren's complete letter to Duncan is available in .pdf form here. The New Yorker spoke to Mallory Heiney, one of the Corinthian 15 who attended a Michigan branch of Everest Institute in hope of becoming a nurse. But, she said, her instructors stopped showing up for classes due to Corinthian's financial troubles. Inside Higher Ed spoke to another member of the Corinthian 15, Makenzie Vasquez, who said she dropped out six months into an eight-month program because she could not afford payments on the private loan offered by Corinthian, and now owes more than $30,000 in debt. Educators generally advise consumers thinking of enrolling at a for-profit school to consider their local community college instead. Almost all community colleges will allow you to take on a part-time rather than full-time courseload, if necessary, so you can still work while attending school, and even pay your tuition and other costs as you go, rather than take on a student-loan debt that can't even be discharged in bankruptcy. 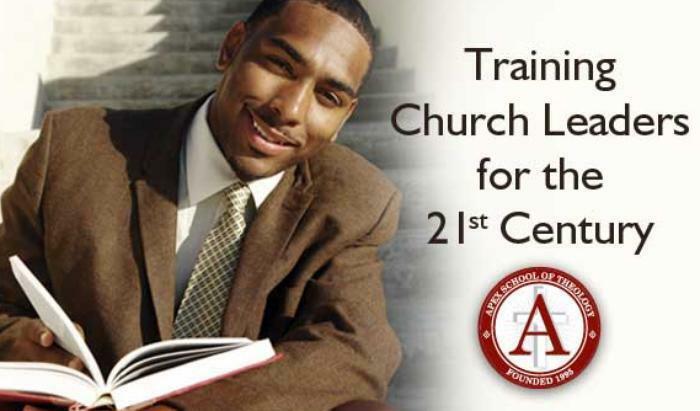 But will this help students of now-defunct Cornthian Colleges? In early June, a month after the Corinthian Colleges chain of for-profit schools ended years of legal battles (including charges of fraudulent lending, illegal debt-collection practices, lying about job prospects and educational quality, and worse) by closing its doors and filing for bankruptcy, the Department of Education announced that it would offer debt relief for Corinthian students. Under ordinary consumer-protection situations, such loan forgiveness would arguably be a no-brainer: if a company is shut down for fraudulent business practices, any outstanding customer debt based on such fraud would is often forgiven or reimbursement is paid to victims. But federally backed student loans (which, along with U.S. military veterans' educational benefits, provided the bulk of the school's profits) are different under the law: unlike most bad debts, they can't be discharged in bankruptcy. And from the money-lender's perspective, the loans are backed by the federal government – meaning, if a student can't or won't pay it back, the taxpayers are on the hook. Hence the need for the Department of Education to announce a special debt relief program for the defrauded students of now-defunct schools. Yet student advocates and other critics immediately condemned the DoE's plan as worthless if not worse: “a process that re-victimizes students as a solution to a problem they [the DoE] created,” as the Debt Collective put it at the time. More specifically, the DoE plan required students to provide transcripts and other documentation which might be impossible to get (mainly because the school generating such documents is out of business and no longer exists). 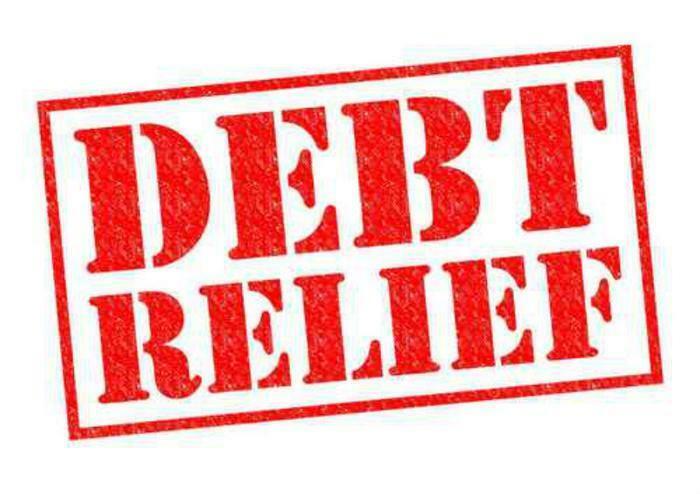 This regulatory process will not impact the ongoing debt relief efforts the Department outlined in June. Until these regulations are developed and put into effect, borrower defense claims will continue to be reviewed through existing processes and through those developed by the Special Master. Borrowers who believe they have valid claims for defenses to repayment can visit www.studentaid.ed.gov/Corinthian or call a special toll-free borrower defense hotline at (855) 279-6207 for more information. So the new rules might not help any student victims of Corinthian's frauds, but they might, in the future, keep taxpayers off the hook the next time a school victimizes students in similar fashion. Consumers hoping to advance in a career are often attracted by for-profit institutions that, even though they can be expensive, admit anyone who applies. But not all these school can deliver on promises. In North Carolina, state Attorney General Roy Cooper has obtained a court order temporarily halting operations at a private, for-profit career school that Cooper maintains charged students hundreds of dollars for unlicensed, unaccredited medical courses and put them to work without proper training. On Thursday, Wake County, North Carolina Superior Court Judge G. Bryan Collins, Jr., granted Cooper’s request to temporarily bar North Carolina Medical Institute and its owner, Sherita McQueen, from advertising, offering, or accepting payment for any educational products or services in the state. Cooper is asking the court for a permanent ban on NC Medical Institute’s operation and refunds for students. Cooper claims that the school could endanger patients in his state by certifying some students as qualified nursing aides after completing course work, which Cooper claims is far less training than required by law. The complaint alleges that McQueen used a former employee’s nursing license and Social Security number to enter 50 unqualified Nursing Aide II students into the State Board of Nursing’s electronic registry, permitting them to get jobs. Back in May the North Carolina State Board of Proprietary Schools and the North Carolina State Board of Nursing refused to renew NC Medical Institute’s license. It previously determined that the school advertised and enrolled students in unlicensed courses, employed unapproved teaching instructors, and presented misleading information to the State Board of Community Colleges. Cooper said it didn't stop there. He says after losing required licenses, McQueen misled prospective students by telling them that the courses offered by her school were accredited. He said NC Medical Institute continued to charge fees as high as $800 per course for unlicensed medical training programs, including pharmacy technician, medical assistant, and first aid courses. After completing the classes, students often found themselves unprepared or ineligible for jobs in their fields of study. Cooper further alleges NC Medical Institute engaged in illegal practices while licensed. According to an affidavit filed by a North Carolina Board of Nursing employee, the school continued to offer a Nursing Aide II program despite repeatedly failing to meet state requirements. While this might seem scary and discouraging for someone who hopes to advance in the medical field, Cooper says it shouldn't. Consumers just have to be careful. “Enrolling in a vocational program can lead to a brighter future, but make sure the school you select is legitimate before you pay any money to enroll,” he said. He suggests checking out your local or regional community college, where he says students are much more likely to receive quality training at a fair price.